After skipping the minor league pitching staff reviews in 2014 (that silly thing called work interfered), I’m back for 2015. I’ll be reviewing the six minor league levels and the major league levels going from high to low. In this series, we have already published the MLB version for 2015. 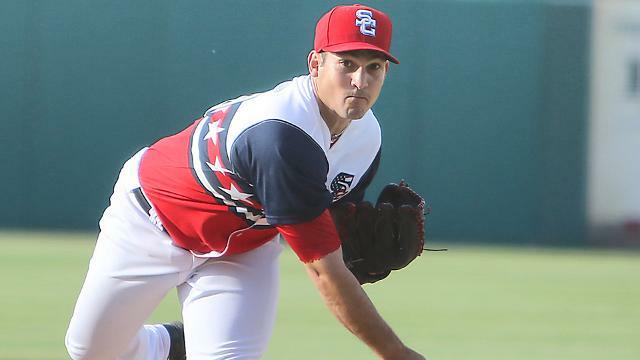 For some historical perspective, here’s 2013’s version (featuring Tanner Roark), here’s 2012’s version (featuring John Lannan) and 2011’s version (featuring Tommy Milone) of this post for AAA Syracuse. In the missing 2014 post I likely would have “featured” either Taylor Hill or Rafael Martin. All stats are courtesy of either milb.com’s Syracuse Stats page or via Fangraph’s Syracuse Stats page. Also useful here are the Big Board and the Nats Draft Tracker. And here’s the Baseball America Minor League Free Agent (MLFA) tracker. And here’s a list of the official MLB MLFA declarations for 2015. Syracuse starters. The rotation started the season with Cole, Jordan, Hill, McGregor, and Billings. It finished the year with Espino, Bleier, McGregor , THill, Jordan and Cole. Here’s an overview of the starters Syracuse used, starting with the original five starters. A.J. Cole was Syracuse’s opening day starter in 2015. 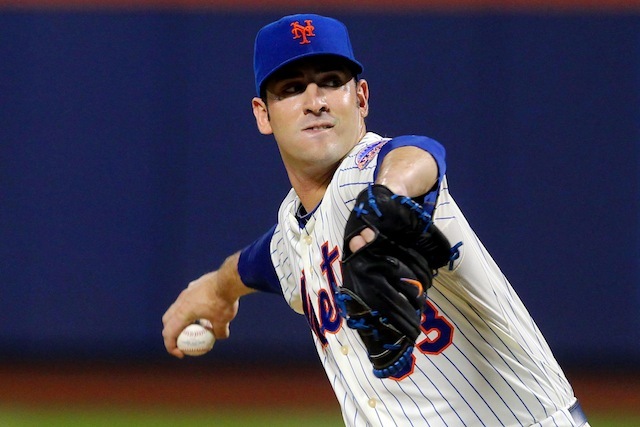 On the year, he was 5-6, 3.15 ERA, 1.18 whip, 3.90 FIP and 76/34 K/BB in 105.2 innings. Cole got yanked up and down a couple times on the year, with one ill-fated spot-start for the major league team where he looked completely out of his depth against Atlanta (not exactly the ’27 Yankees). His K/9 is down, BB/9 is up from his stint in AAA in 2014, though his BAA improved significantly. I’m struggling not to write him off; after all he’s only 23, he’s still listed in or near the top 100 prospects in all of the minors, and he still could have value. I just don’t think its going to happen with the Nats. He’s been pushed down on the starter depth chart and (save an injury) has no chance of making the 25-man roster in 2016. So is there value in having him pitch another year in upstate New York? I could see Cole getting flipped to a team that could use a cheap 5th starter candidate. Outlook for next season: Syracuse’s opening day starter again, unless moved. Taylor Jordan was 5-6, 2.95 ERA, 1.15 whip, 3.41 FIP and 61/27 K/BB in 103 IP. He’s slipping further and further away from a rotation job that seemed rather likely after his 2013 sterling debut. His AAA numbers were pretty good this year but he got lit up in his one 2015 spot start (to be fair, it was against Toronto and the best offense in the majors). His margin for error is just so much lower because he doesn’t get the K/9 that other guys do. Unlike Cole though, Jordan doesn’t necessarily wow the scouts and may be tougher to move. I think he plays out his options string as a AAA starter with occasional big league cover and then gives it a go in another organization. Outlook for next season: Syracuse rotation again. Taylor Hill was 3-10 with a 5.23 ERA, 1.62 whip, 3.85 fip and 70/29 K/BB in 118 IP. Not a good year for Hill, who got a handful of mop-up bullpen gigs in late May/early June and wasn’t entirely impressive while doing it. See all that we’ve said for Cole and Jordan, but lower expectations a bit more. I have Hill near the top of my “guys to get DFA’d to make room on the 40-man roster” at this point and he needs to figure out what changed between 2014 (2.81 ERA) and this year (5.23 ERA, both at Syracuse). We won’t really know if he’s getting pushed out of the rotation until deeper dives into the AA rotation. Outlook for next season: Syracuse rotation/release candidate. 1/6/16 update: Hill was DFA’d on the 40-man to make room for Stephen Drew: we’ll update in this space when his roster status is finalized. Bruce Billings was 8-5 with a 3.63 ERA, 1.26 whip, 3.23 fip and 90/28 K/BB in 121 IP. The MLFA produced well in a season spent in a similar role to McGregor; 4th/5th starter who made way for prospects as they got moved up but who eventually spent most of the year in the rotation. His numbers are about what you’d expect for a veteran minor leaguer/classic AAA org guy; he’s declared again and will look to build on his decent 2015 with an organization where he has a better shot at getting called up. Outlook for next season: in AAA for another organization. Paolo Espino had a nice season, getting promoted up from AA and giving Syracuse 20 starts of 3.21 ERA, 1.15 whip, 3.68 fip pitching (88/19 K/BB in 117 AAA innings). The 2014 MLFA signing (as with McGregor) stuck with the team for 2015 and could be an interesting piece going forward. Question is; is he a MLFA for this upcoming season? My records and research disagree with each other: he’s *not* listed in the BA MLFA tracker nor is he on the official MLB declared MLFA list (links at the top), but the drat tracker says he’s a MLFA. I’ll assume our private files are not better than MLBs and assume he’s still under team control. Outlook for next season: Syracuse Rotation. Richard Bleier was 14-5 with a 2.57 ERA between AA and AAA this year. 65/16 K/BB in 171 IP. Bleier had a nice season, working his way out of AA and finishing the year in the AAA rotation. His K/9 is shockingly low given his stat line, perhaps why he’s not likely to draw much attention from the team’s executives on 1/2 street. He’s a declared MLFA already for 2015 and likely plies his trade elsewhere next year. Outlook for next season: in AAA for another organization. P.J. Walters was acquired mid-season from the Dodgers for cash: for the Chiefs he threw 60 innings of 5.35 ERA and got 5 spot starts towards the end of the year. 52/23 K/BB in his 60 innings for Syracuse on the year. 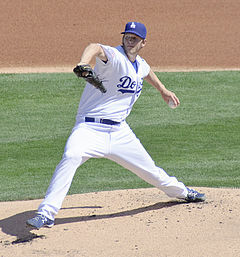 Walters has significant MLB experience, with 152 IP across several organizations dating to 2008. He’s yet to really have a decent MLB stretch thought, and his AAA numbers are starting to look just as bad. Given the team’s dearth of RH bullpen depth options though, I think its safe to say they’ll keep him around to see if he’s an option to consider. Outlook for next season: Syracuse bullpen. Joe Ross had 5 starts before getting called up to the majors. See MLB write-up for more. Outlook for next season: Nats #4 starter. Matt Swynenberg had exactly one AAA start of 3 innings this year before spending the rest of the year on the restricted list, which usually indicates retirement. We’ll see if he gets an official release this coming off-season. Outlook for next season: retired/out of the organization. Mitch Lively had 2 spot starts but was mostly a reliever; see the reliever section. Sam Runion and Eric Fornataro each had a spot start but were primarily relievers; see the reliever section. Matthew Spann, James Simmons and Austen Williams each got called up to AAA from lower levels to provide exactly one spot start. See High-A for for Spann and Williams, AA for Simmons writeups. Strasburg and Fister had one-two rehab starts for Syracuse in 2015. Syracuse Relievers: taking a look at the relief corps. We’ll organize relievers by going by IP from most to least. Anyone with less than 10 IP will get cursory analysis at the end. Rafael Martin was Syracuse’s closer for a good portion of the season, getting 12 saves in 50 IP across 46 games. We discussed Martin at length in the MLB writeup but will repeat our prediction here. Outlook for next season: Syracuse bullpen/MLB reliever depth. Eric Fornataro was a waiver claim last off-season, then DFA’d off the 40-man roster before the season started. He then failed to impress, posting a 5.54 ERA in 50 innings before getting released in July. Outlook for next season: in another organization/out of baseball. Matt Grace had a 2.40 ERA in 48 IP and spent a decent amount of time on the MLB roster (17 ip across 26 appearances). See MLB writeup for more. Outlook for next season: Syracuse bullpen/lefty reliever coverage. Evan Meek posted a 2.15 ERA across 37.2 innings in the early part of the year, effective if a bit wild (33/19 K/BB in those 37 ip) and, after not getting consideration for a call-up, asked for his release to sign with a Korean team. Outlook for next season: still in Korea or with another Organization. Mitch Lively was in basically the same boat as Meek; put up good numbers (2.31 ERA, 0.97 whip, but wasn’t called up and decided to go overseas. He was released on 6/17/15 so as to sign with a Japanese team. He posted a 6.75 ERA in 16 games in Japan; not sure what the future holds for him. Outlook for next season: still in Japan or with another Organization. Juan Gutierrez was signed off the AAA waiver wire in August 2015 and threw 34 mediocre innings (3.47 ERA)for Syracuse down the stretch in a classic “we need someone to pitch innings for us to finish the season” move. He’s a MLFA and likely keeps on moving for 2016. Outlook for next season: in another organization. Jose Valverde signed a month into the 2015 season with a typical veteran MLFA contract that guaranteed an opt out after a couple of months if the big club didn’t use him. Valverde closed effectively for Syracuse until July, when he opted out. He did not sign elsewhere for 2015. He’s playing in the DWL but I wonder if he’s done; his last two MLB stints were both ugly. Outlook for next season: in another organization/out of baseball. Manny Delcarmen had an 8.14 ERA in 21 IP across 18 appearances before getting released in early June. He played out the rest of the season in Mexico. Outlook for next season: in another organization/out of baseball. Rich Hill signed as a MLFA late in the 2015 spring from the Yankees, pitched decently as a middle reliever in Syracuse and likely had an “out clause” forcing the team’s hand, who released him in late June. He picked up with Boston, pitched well for their AAA squad, got promoted back to the majors, pitched lights out in 4 starts in the end of the season … and signed a $6M contract to pitch for Oakland in 2016. Go figure. Did the Nats miss the boat here? This isn’t the first time they’ve had a guy in their AAA rosters who went on to have significant success for another club (Colby Lewis, Marco Estrada, Chris Young). Maybe they should have given Hill a 40-man job while they were trying out everyone else in late May/early June. Maybe you could say the same thing about a whole bunch of the MLFA MLB-experienced veterans who passed through Syracuse’s roster in 2015. Outlook for next season: Pitching for Billy Beane out in Oakland on a $6M deal. Other Relievers who appeared in AAA of note (not including Rehabbing MLBers): Outlook for next season for all of these guys seems the same: either continued “org guy” middle reliever or minor league free agent in another organization. Solis, Treinen and Rivero each had a nominal amount of AAA innings: see MLB writeup for them. Demny and Davis spent more time in AA than AAA: see Harrisburg write-up. Everyone else not mentioned had 5 or less IP in AAA and were mostly in other levels. 34 different hurlers passed through the Syracuse locker room this year. Phew. And it seems like a huge percentage of them have already churned out of the organization, looking for their next stop. I guess this is the way AAA teams go these days. We may see more MLFA veteran arms coming into the system for 2016 given the number of guys they’re losing. Its hard to say whether we really learned much from the AAA staff this year; the team kind of already knew what it had with its highest-end prospects in AAA (the likes of Cole, Jordan and Hill). Almost the entire bullpen was veteran MLFAs who likely won’t be back, most of whom never got a chance to contribute to the major league team in its time of need in 2015. Well, the entire DC area was off-work with yesterday’s (hopefully) final snowfall of the season snarling roads and cancelling work. But Tom Boswell was busy chatting. Here’s how i’d have answered his baseball-related questions from his WP chat session on 3/3/14. Q: Walters is 5-5 and making some impressive defensive plays. Do you foresee him being more than a September call up this year – perhaps a quality utility player? He also seems like a sharp kid and an interesting character. A: Well, the only “impressive play” I’ve seen Zach Walters pull off was a 2-run scoring throwing error … but that’s just a “short sample size.” To answer this question; yes I think Walters is more than a 9/1 call up this year; I think he’s going to be the first guy called up (ahead of both Jamie Carroll and/or Mike Fontenot at this point) if we need middle infield coverage. I’m worried about his defense (as has been noted in this space before), so I dunno how much we want to depend on him … but so far he’s looking impressive indeed at the plate. What more does he have to prove in AAA? The more he hits, the more he pressures the organization to give him a shot at the MLB level. Boswell doesn’t know either; there’s no room at the inn for him here; maybe a trade is in order to either move him or free up space for him. Q: If Danny Espinosa can find his swing and cut down on the strikeouts, could Matt Williams get 300+ ABs for him alternating between 2nd/SS/3rd as a super utility? A: I’m pretty sure that’s the plan for him even if he doesn’t necessarily “find his swing” right now. Who would you rather go to war with as your backup infielder right now? Danny Espinosa or a 40-yr old punch-less middle infielder like Carrol or Fontenot? More and more I think the decision may be Espinosa vs Walters. Boswell agrees, thinking Espinosa *is* going to be the primary utility guy for this team. Q: Does Mussina get in to HOF? A: Hmm. That is a tough one. On the one hand his career bWAR is *way* up there (82.7, which puts him in some very heady company right around 50th best in the history of the game). JAWS likes him, and the “Hall of Fame Standards” metric on B-R.com thinks he’s borderline. On the other hand his ERA isn’t fantastic (career 3.68, career ERA+ of 123, which is about what Jimmy Key or Tim Hudson are pitching to for their careers). Didn’t get the magical 300 wins or 3,000 strikeouts. Never won a Cy Young but was in the top 6 in voting 9 times out of 18 years. Five all-star appearances, seven gold gloves. 7-8 with a 3.42 ERA in 139 2/3 post season innings, where he peaked in his 1997 exploits in an epic Baltimore vs Cleveland series. 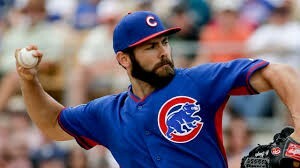 I think he was unquestionably one of the best arms in the game for a period of time, even if Cy Young’s don’t show it. He did not have the greatest reputation with the media though. Answer? I’d vote for him, but i’m a “bigger hall” guy. I think he’s the type who gets in after a few votes to gather steam as people remember how good he was. But I think its also telling that his best player comparable on B-R is Andy Pettitte, another very borderline hall-of-fame guy. There’s certainly no PED usage issues with Mussina; maybe that’s enough to get him votes that other players will never get. Boswell agrees with my sentiments here. Q: What are the Syracuse Chiefs expecting in terms of a pitching staff this year? What’s happened since then? We traded away Karns, resigned Ryan Tatusko, resigned Tyler Robinson, signed Clay Hensley , signed a lefty Zack Jackson, signed a righty Warner Madrigal, signed former Nat Luis Ayala, traded for Felipe Rivero, signed Josh Roenicke and (just today) signed another former Nat Reliever Michael Gonzalez. Phew. That’s a lot of guys signed who all look like they belong in AAA. I honestly have no idea how spring training is going to shake out but I do see one issue here: none of these new guys coming in are starters. So with Karns traded away, we’re looking at just 3-4 true starters left out of all these guys. Does Tatusko go back into the rotation? Do the Nats throw a bone to one of the remaining veteran FA starters out there (Joe Saunders has local connections, and Barry Zito could use some work). AAA Bullpen: Barrett (closer), Davis, Cedeno (L), Robertson (L), Ayala, Gonzalez, Rivero (L), Delcarmen. As for the rest of these guys? Maybe some push back to AA, maybe the rest exercise out clauses and hit MLFA again. But there definitely seems like a ton of 4-A/AAA guys for not a lot of spots. Boswell has no idea and openly solicits input from people who do follow the Nats minors. Q: Why is the opener in Australia a real game instead of an Exhibition? A: Probably because the moment it becomes an exhibition thousands of miles away … teams would basically send their AAA squads. And MLB knows it, so they have to be “real games.” Boswell just notes how unfair it is to the teams that play. Q: What’s the best way to get Bryce Harper’s autograph on a special piece of memorabilia? A: Probably to go to Spring Training and bring along a little kid That’s my plan, eventually, to use Son-as-proxy to get cool autographs. Of course, I also have this thing where everytime i’m in a position to get an autograph I have the player customize it to my son … cheesy, sure. But i’m not acquiring autographs to re-sell them or some fool thing. Boswell doens’t have any good advice. Q: Assuming you could afford them all and they would resign, if you had to who on the current roster to make “lifelong” Nats – who would you choose among Desmond/Zimmermann/Strasburg/Harper? And who is the most replaceable? Assuming money is no object and that they’d all re-sign, I think your “lifelong” Nats have to be in order Desmond, Harper, Strasburg, and then Zimmermann. All four if you can get them. I think they’re replaceable in this order: Zimmermann, Strasburg, Desmond and Harper. But even that order is splitting hairs between Strasburg and Desmond; who is more replaceable? A top-5 short stop in the league or a top-10 arm? I dunno. Harper is in a league by himself; you just can’t replicate power hitters who matriculate to the majors by age 19. I think Zimmermann is the most replaceable by our pipeline of upper-end arms. The other three guys, not so much. Boswell goes slightly different order of replaceability, putting Strasburg ahead of Desmond because the Nats have Espinosa and Walters. Uh … not sure I think either of those two guys is a “replacement” for Desmond right now Mr. Boswell. Nonetheless he also postulates that the Nats really can only keep two of the four, and that internally they keep a “5 max contract” limit in place, meaning that they still have some flexibility to keep three of these four guys. Q: I am not impressed with the Nats’ bench, because it is a bucket full of strikeouts. Does this open a door for Jamey Carroll to make the Opening Day roster? Would it be a bad sign if he did? A: I cut-n-pasted this whole question because I love the “bucket-full of strikeouts” line. Maybe a grizzled vet keeps Carroll instead of Espinosa or Tyler Moore. Maybe not. But if you carry Carroll instead of Moore, you are trading one commodity (defense) for another (power). I’d rather have Moore but understand the positional flexibility of Carroll. Boswell seems to intimate the decision will be Carroll vs Walters: why does everyone assume Moore is making this team with two other backup outfielders already under multi-million dollar contracts?? Q: If Zach Walters continues his excellent play from the end of last year deep into the Spring, and Danny Espinosa parties like it’s 2012, do you see the Nats dealing Espinosa this year, or are his defensive skills at short and second too valuable to lose? A: Yes, I think Espinosa will eventually be traded, as I’ve noted many times here (best summarized in this 1/2/14 Ladson inbox response). But, he has to regain value first. If he’s suddenly returning to a near 100 ops+ hitter with his defensive prowness, there’s a whole slew of teams that could use an upgrade at the position (just perusing RotoWorld depth charts, I can see a 2011-esque Espinosa being a desirable choice to current options for at least Houston, Minnesota, Miami, maybe the Mets, Pittsburgh, San Diego, maybe Chicago (WS), maybe the Angels, maybe Seattle, and maybe the Dodgers (so they can move Hanley Ramirez back to 3B). And that doesn’t even look at the 2B options out there that he could ably fill. Boswell notes this little nugget; the Dodgers sniffed around on Espinosa exactly to do what I just said; move Hanley back to third. Q: Should we be concerned about middle infield depth? If Espinosa can’t hit over .200, who’s left? Jamey Carroll’s OBP was .267 in 227 ABs last season… yikes. A: I’m not concerned because we should only have to count on one of these guys. Espinosa (as mentioned ad naseum) had a pretty legitimate excuse for his BA last year; he was hurt. He’s healthy now; there should be no reason he doesn’t return to at least a .240 guy with power he was for his first couple of seasons. Boswell points at his new favorite fan boy Zach Walters. Q: Assuming the Nats fifth starter (whoever it may be though I’m pulling for Detwiler) has a great “fifth starter” season, how good can we expect it to be? Has any fifth starter won 15-20 games? The 5th starter for the 108 win 1986 Mets was Rick Aguilera; he went 10-7 with a 3.66 ERA. The 114-game winning 1998 Yankees 5th starter was Orlando “El Duque” Hernandez, who went 12-4 and had the best ERA+ on the staff, but he wasn’t exactly a “normal” 5th starter. In reality by the time the playoffs rolled around the real 5th starter was Hideki Irabu: he was 13-9 in the regular season but didn’t get a start in the post-season. Lastly the 116-game winning 2001 Mariners’ 5th starter seemed to be John Halama, who went 10-7 despite a 4.73 ERA and was replaced mid-season by rookie Joel Pineiro. Boswell notes a good point; if a “5th starter” wins 20 games … people forget he was the 5th starter. Q: He had 38 (or thereabouts) errors in Syracuse this year. I don’t think there should be any serious talk of him spending significant time with the Nats until he can clean up his fielding in AAA. A: I wonder if the person who sent in this question also reads me. By the way: the break down of Errors (per b-r.com) was 31 errors in 104 games at short to go along with 7 additional errors in 27 games while playing third. That’s a LOT of errors. And it is almost entirely consistent with the number of errors he committed in 2012 in AA. So this wasn’t a fluke season. We all hear stories about how crummy minor league fields are and how they contribute to poor fielding numbers for players. Have you ever played on a pro field? They’re miles better than any amateur field and looked beyond immaculate to me. I wonder just how much nicer they can get honestly. But, yes I do somewhat agree with the questioner here; I’d like to see Walters have a cleaner fielding season before counting on him. 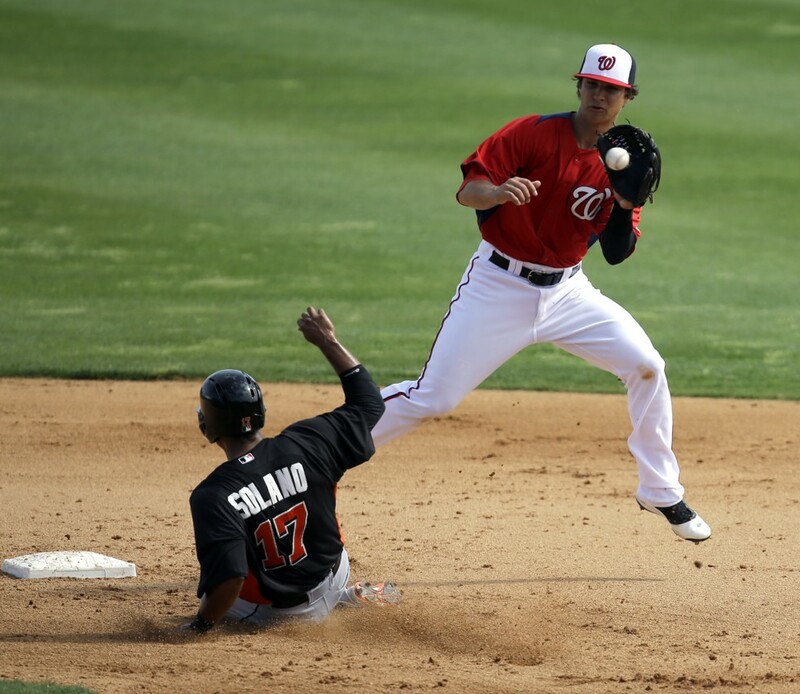 That being said, we should all remember that we were ready to string up Ian Desmond for his fielding issues … now he’s a gold-glove calibre talent. Boswell brings up Desmond’s incredibly poor minor league fielding record … maybe there’s more truth to the whole minor league field issue than we thought. 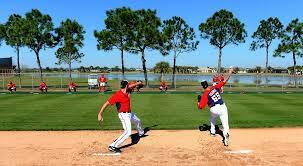 Q: Do you think Storen might not be long for the team? I’ve felt for some time that Game 5 in 2012 truly affected how Rizzo sees him. Also, many like to say they have three guys who have closed in the bullpen. I feel the 7th, 8th and 9th are all different so that theory doesn’t always work. Thoughts? A: I’m not sure if 2012 has anything to do with it: Drew Storen definitely got squeezed in that inning and in some ways was very unlucky. And as my dad likes to point out, Davey Johnson‘s usage of Storen in the series (and his bullpen management overall) really left something to be desired. Nonetheless, to answer the question no I think Storen is eventually moved, not because of any bad blood but because of simple economics. We’ve got a really expensive bullpen and three closer-quality guys when only one is needed. At some point we will cash in. I’m not sure I believe that 7th/8th/9th innings require different mindsets; you still want guys who can get people out, you want swing-and-miss talents, you want people who can keep the ball in the park and not walk anyone. Boswell doesn’t really answer the question.